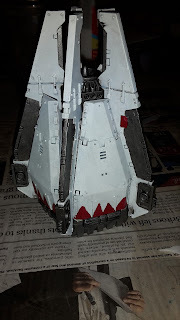 This week I have been doing some work on my White Scars, terrain and some objective markers. 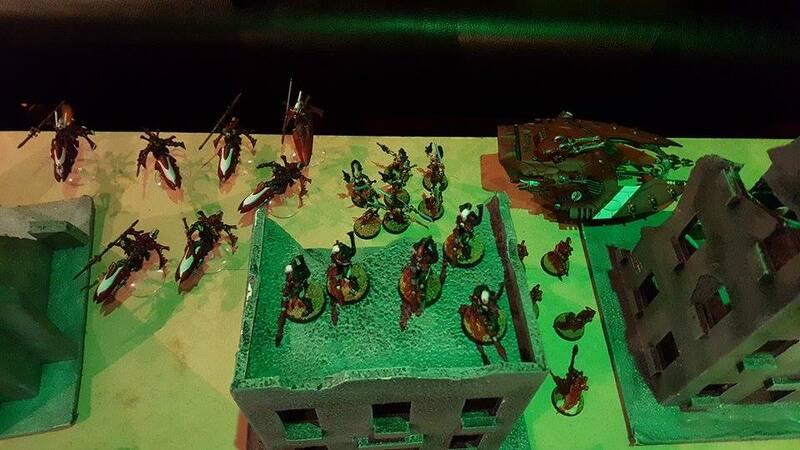 I signed up to attend Rapid Fire 2015, a tournament held by Striling Wargamers club. I have decided to take my White Scars to the event and have been toying around with an army list for it. In order to use this list I need to get my second drop pod completed, as well as a librarian. 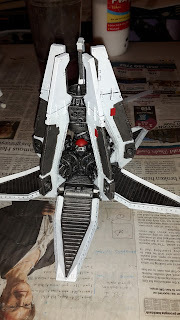 I had already started on the drop pod previously and it only took me an evening to get it the painting finished off. This consisted of giving it a drybrush with Leadbelcher and then painting on the red markings on the doors of the pod. 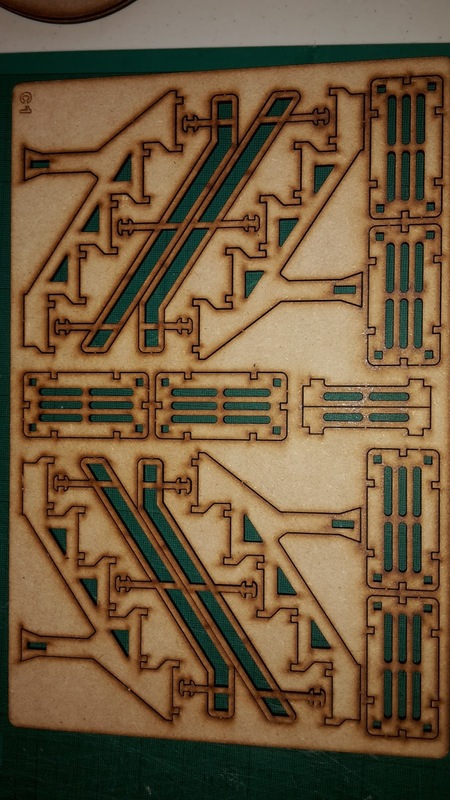 I only have to apply the transfers and it will be complete. 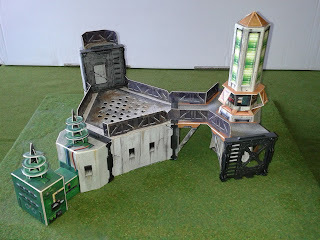 Today, I wanted to highlight some of the old 40k card buildings that I have been collecting over the past few years. I think that these are still interesting pieces that add a lot to the battlefield and give you some interesting terrain to fight over. GW has long since evolved from selling printed cardboard terrain, put together with the ubiquitous, long serving plastic bulkhead. They now produce some fantastic highly-detailed plastic terrain that is easy to assemble and paint (if you have the time or the money). I love their terrain kits, the bastion is a great model and I have visions of building massive structures featuring dozens of kits, if only I had that much cash lying around. However, there is still something about the old card kits that I still love. Every gamer should have a few of these bad boys lying around. This week's battle report was another for the Medusa IV campaign that I am currently running. 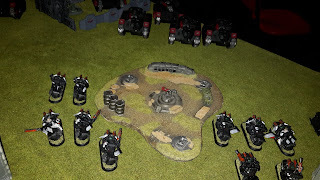 The battle was 1850 pts of my Ravenwing vs Andrew's Astra Militarum Armoured Company. 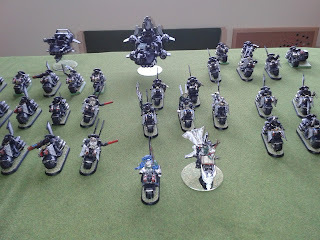 My army was a slightly modified version of my proposed Blog Wars army. I dropped the Librarian and added an Interrogator-Chaplain with the Mace of Redemption. 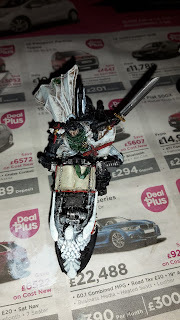 I also dropped the Dark Talon and took another bike squad armed with a flamer. 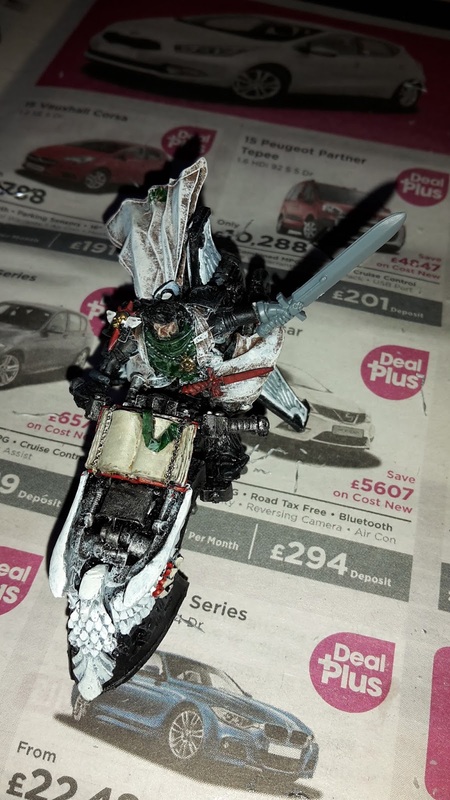 This was unintentional, I thought we were playing 1500 pts so I never took my proxy Dark Talon (I am currently attempting to build and magnetize this) and had to make up the points with a spare bike squad that I had in my case. Welcome to the first battle overview post in the ongoing Medusa IV campaign. Some of the players in the campaign have been kind enough to send me photos of their games and a quick overview of the action taking place in their battle for their territories. First up, Josh's Sons of Horus, led by Loken, took on Armel's Saim Hann Eldar in a battle over a ruined cityscape. The two armies sized one another up and made advances into the ruins. 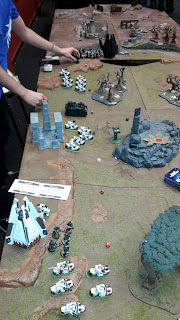 While at the Clan Clash doubles tournament at GW Aberdeen, I got the chance to take photos of some of their amazing gaming tables that we were playing on, as well as photos of some of the armies being used on the day and in the cabinets at the store. Our third and final game of the Clan Clash doubles tournament was against Aberdeen once again. This scenario was called Line of March, a mixture of Maelstrom and objective grabbing. 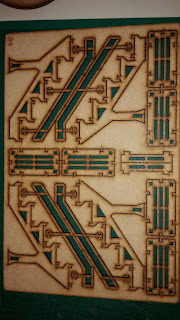 The objectives were set up in set positions around the board (two on each short side and two in the middle). Each turn, players would draw 3 secret maelstrom cards and have to complete them. 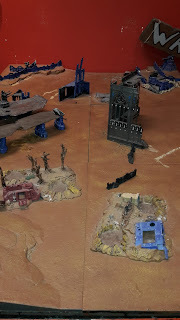 At the end of the game, additional points would be awarded for controlling the objectives as well as additional points for table control and destroying enemy units in the final turn of the game. A tough army to face. I knew from experience in the first game that the Centurions were going to be deadly and Necrons are always a tough proposition. Unfortunately, my Tau allies had no interceptor to try and take out the pods before they could cause much damage. 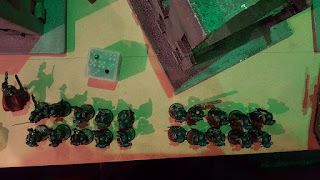 This is part 2 of my battle reports at Clan Clash, organised by Games Workshop Aberdeen. Our second game of the day was a mission called Cataclysm. This was a really interesting mission, the goal of which was to get units in your opponent's table half. 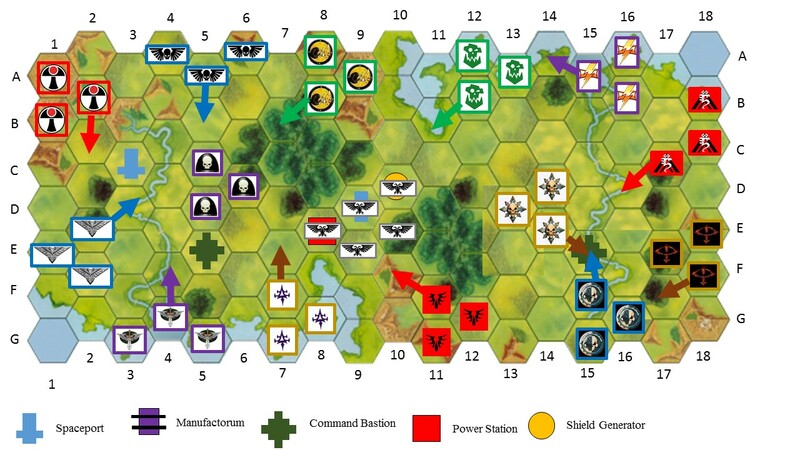 Each unit of Troops or Elites above 5 models in your opponent's deployment zone at the end of your turn after turn 2 scored you a victory point. In addition, any units of Troops or their dedicated transport that is destroyed get to come back into reserve the following turn. This sounded like a fantastic mission to play and one very suited to my army. I liked the meatgrinder aspect, meaning that you could throw your Troops units into the enemy army without caring for their demise, as long as they scored you victory points. I recently attended Clan Clash, a 40k doubles tournament ran by Games Workshop in Aberdeen. I was joined by Colin and Scott to represent GW Dundee (along with Chris from GW Aberdeen who would join us to make up the team). Our armies were to be 750 pts using the Allies force organisation chart and I would play with each of our team members over three custom designed scenarios made by the guys over at GW Aberdeen. I had never visited the Games Workshop in Aberdeen before, but the store is amazing. It features an upstairs gaming space with room for about a dozen 6x4 tables and some amazing boards and scenery (photos to follow in a future post). The walls of the gaming room are covered with a huge array of artwork and some brilliant full length standards, copies of some iconic banners from the 40k universe. The Aberdeen store had held qualifiers for Clan Clash the week before, so only the cream of the crop would be competing at the tournament. Dundee had their own stringent criteria for attending the tournament, namely "Are you available?" and "Do you want to go?". I thought that this would give me a lot of mobility for seizing objectives and for maelstrom missions, as well as providing a decent amount of firepower. For this week's hobby time, I have been working on some terrain and my Ravenwing. 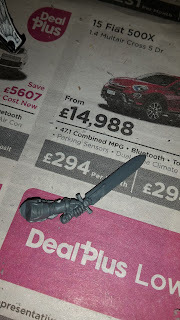 I finally decided to fix Sammael's sword arm this week. 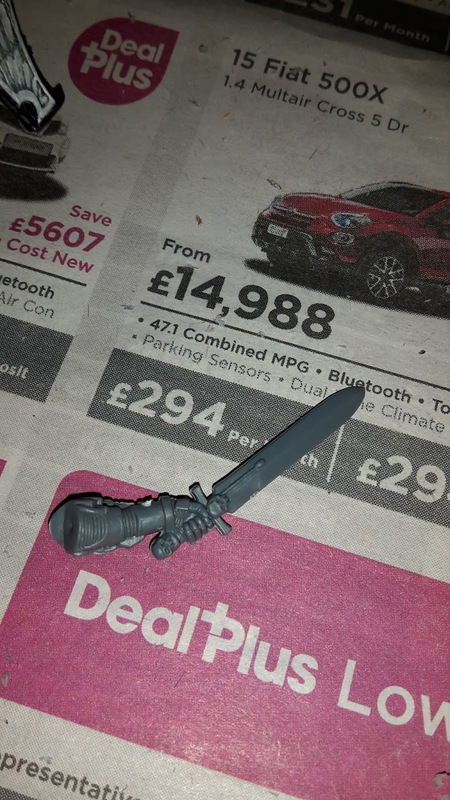 The Finecast sword kept snapping off and I couldn't affix it properly to the hilt. In order to sort this, I cut off the current arm at the wrist and pinned a new plastic one in to place for a more secure hold. 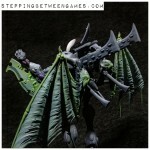 I then painted the new one as shown below and highlighted to match the rest of the model. This week's written battle report is 1850 pts of Ravenwing vs Allan's White Scars. Allan and I had clashed before in our White Scars vs White Scars battle report, a tough contest featuring lots of bikes and landspeeders. This time round, the two pre-eminent bike armies of the Space Marines would face one another to see who was the best. This game was Allan's first in the Medusa IV map-based campaign that I am running at Dundee Wargames Club, so Allan would be fighting hard to try and capture new territory. Sammael was my warlord and the Librarian got Mind War, Seeds of Fear and Maelstrom of Misery; a decent batch of powers, but not the best. Earlier this year, I attended Blog Wars 9 (run by Alex who runs From the Fang) and had so much fun that I decided to attend Blog Wars X later this year. 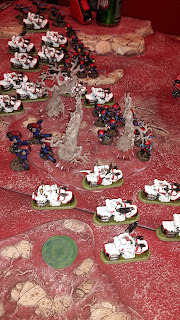 Last time round I took my burgeoning White Scars army. I had three great games against three great opponents and decided that this time I would stay with a bike army, but change chapters. 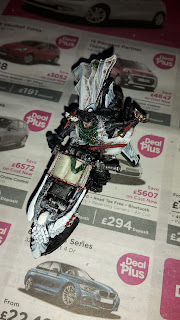 I have decided to take my Dark Angels, but not only that, I will be taking an all Ravenwing army! 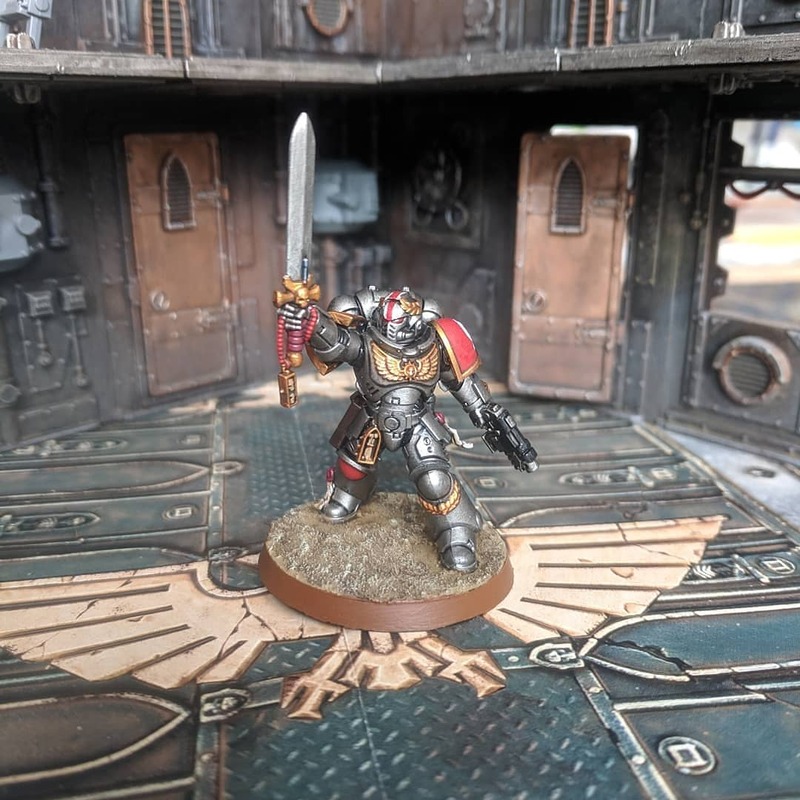 I have really been enjoying the new Dark Angels codex and want to see how the boys in black will perform in a competitive setting. 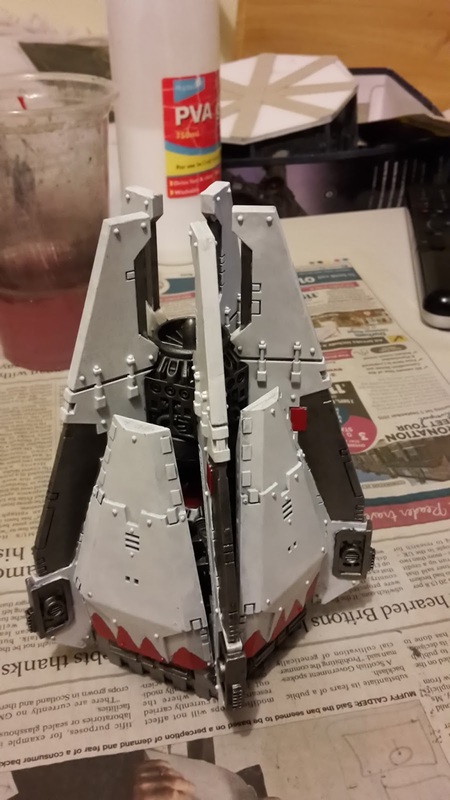 I've been thinking of taking the Ravenwing for a while, so much so that I contacted Alex to clear up the Ravenwing Strike Force issue. For those of you that don't know, the Ravenwing Strike Force comes with three HQ choices and the ability to re-roll your warlord trait. The only problem is that all models/units in the formation must have the Ravenwing special rule and the only HQ unit with this rule is Sammael (either on his jetbike Corvex or in his landspeeder, Sabreclaw). This means that those inviting two spare HQ slots go to waste and my bike-mounted Librarian has to cry into his pillow at nights as he can no longer ride with the big boys. 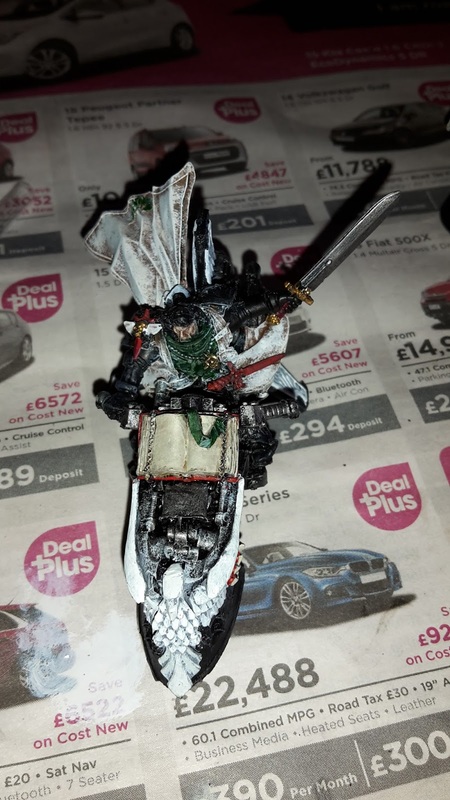 Although there are ways to field other bike-mounted characters (such as running Unbound, it's not like I needed friends anyway), but no way to get them in an all Ravenwing army. Other characters may be taken. They must take a Space Marine bike and swap the Deathwing rule for the Ravenwing rule. This week, I began work on a project that I have been thinking about since I made a purchase on ebay. I bought a set of MDF walkways and decided that I would put together a large-scale fuel depo with them. I was also inspired by a page in the first Apocalypse book that showed you how to make some refinery-type storage containers from metal cans and cardboard. I made up a rough plan in my head and got to work putting it into action. Last week, the campaign to control the Kharysian sector of Medusa IV began in earnest. 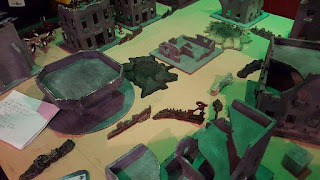 I emailed all the players that had signed up for the campaign with the rules, starting map positions and their very own, personal secret objective to complete during the campaign. On Thursday night, the first games of the campaign kicked off as the players had sent me their map moves for the first turn. 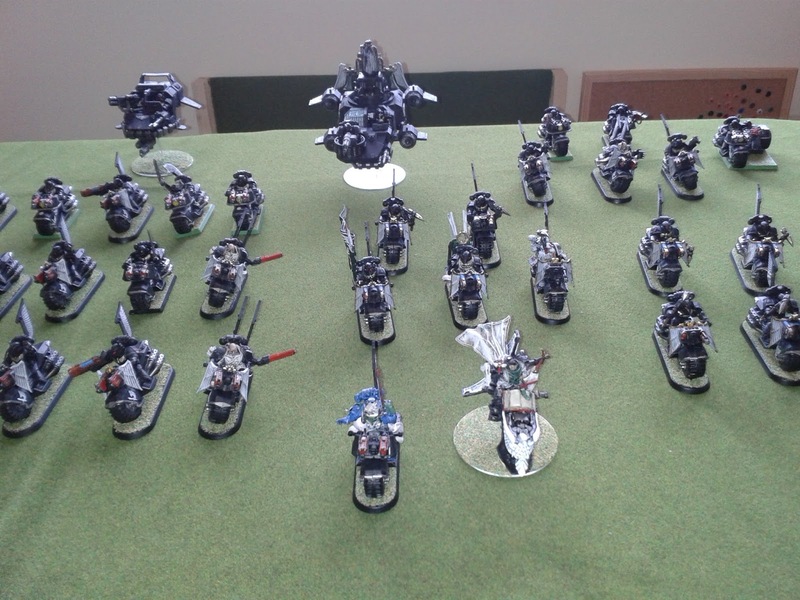 This weeks battle report was 1750 pts of Dark Angels vs Josh's Sons of Horus army. We have played a game in a previous battle report, so Josh was keen for a rematch against the Unforgiven. For this game, I decided to change up my army. 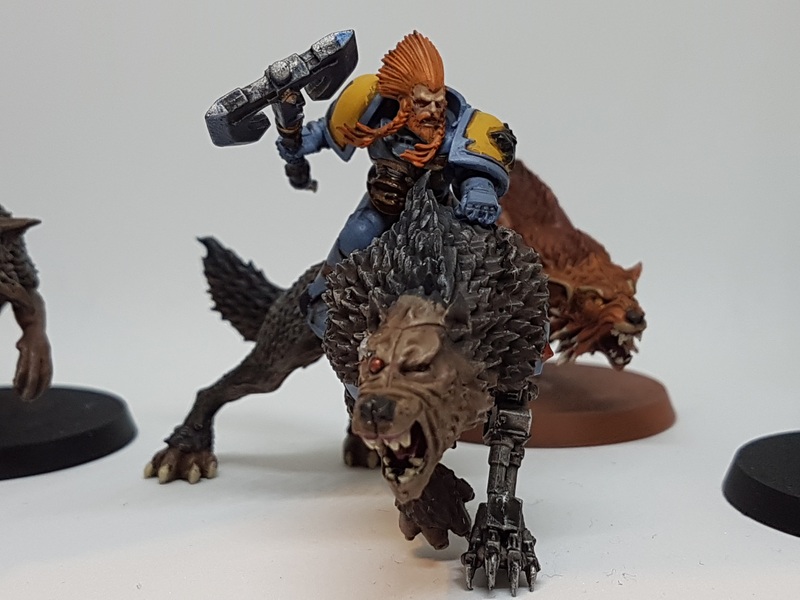 I have mostly been playing with an all Ravenwing or Ravenwing-heavy force recently, but this time I decided to try out the Lion's Blade strike force. I wanted to see if the full BS overwatch was worth something. 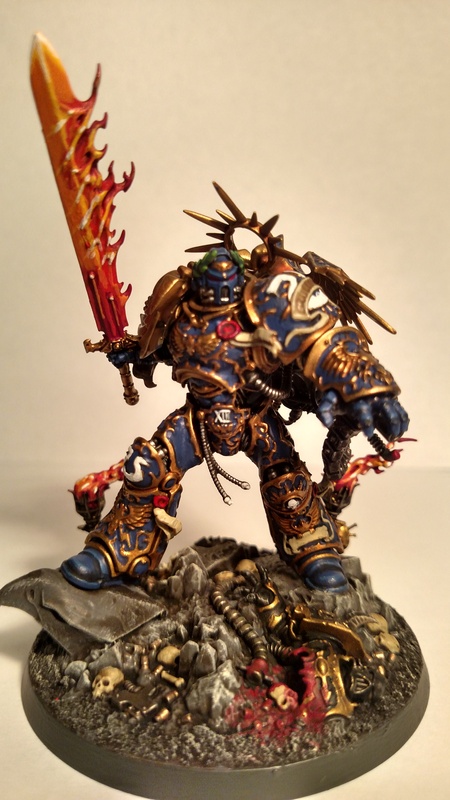 I wanted my demi-company led by the Chaplain, so that the Assault marines could benefit from his Zealot re-rolls. One tactical squad was mounted in a Rhino for objective seizing, while the other two were there to provide fire support. 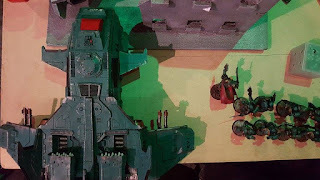 The Devastators had their standard weapons of lascannon and three missile launchers, useful for cracking armour or anti-infantry frag missiles. 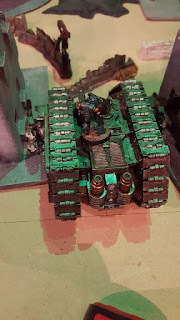 A dreadnought was also added to the demi-company, I hoped the lack of heavy weapons in the Sons of Horus would help keep him alive and possibly allow him to hold an objective. I added Sammael to the army as I love the model and think he has some pretty solid rules to back it up. Also, I'm sure Abaddon was keen for a rematch against him. 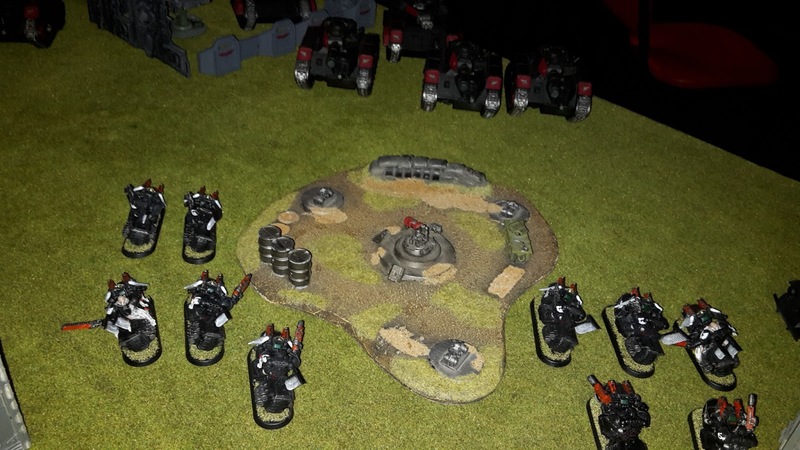 The army was finished off with two Ravenwing attack squadrons. 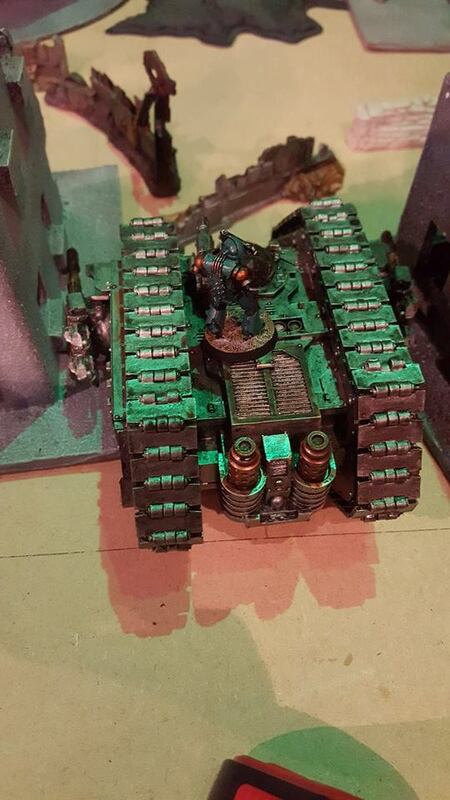 The first bike squad is armed with grav guns and the landspeeder support has a heavy bolter and assault cannon. 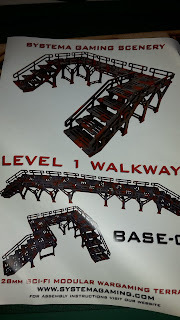 These should be useful for taking out marines and the bonus to the grav guns in the squadron should hopefully provide a few more casualties each turn. The other squadron has meltaguns and a landspeeder equipped for tank hunting. Sammael is my warlord and has a fixed trait that gives a bonus to turboboost and charge moves. 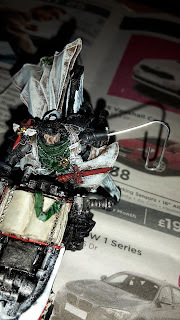 My plan is to use my mobility to tackle the threats in the enemy army, the improved accuracy of the Ravenwing special weapons should let me deal with most threats. 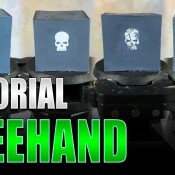 The rest of the army can be used to provide covering fire and to grab objectives. 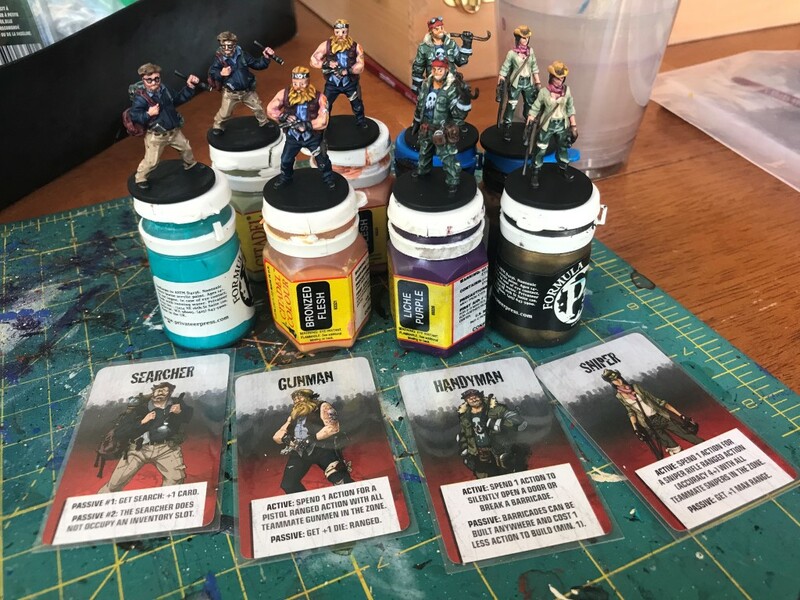 In my last post on my 40k map-based campaign, I wrote about the campaign rules pack that I was sending to the players. After a few weeks of advertising the campaign, I was amazed to have 14 players sign up to participate. 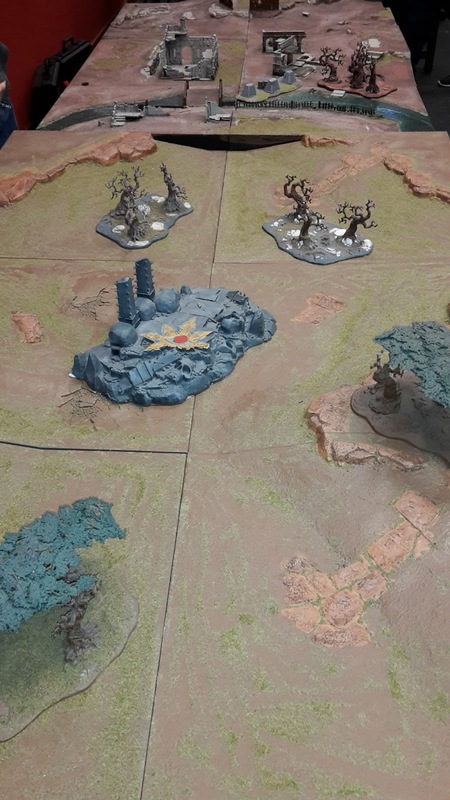 I had originally planned for 6-8 players signing up, so I had to make some changes to my rules (the map I was using was far too small for starters). The major changes were that I essentially doubled the map, increasing it to 126 tiles. With 14 players (plus my own tiles), that works out to just over 8 tiles per player which I thought was a decent number. The other idea that I implemented was to form the players into different alliances. This would allow players from an alliance to fight games for their allies if they were unable to attend the club on a certain night or if they end up with too many games to play. 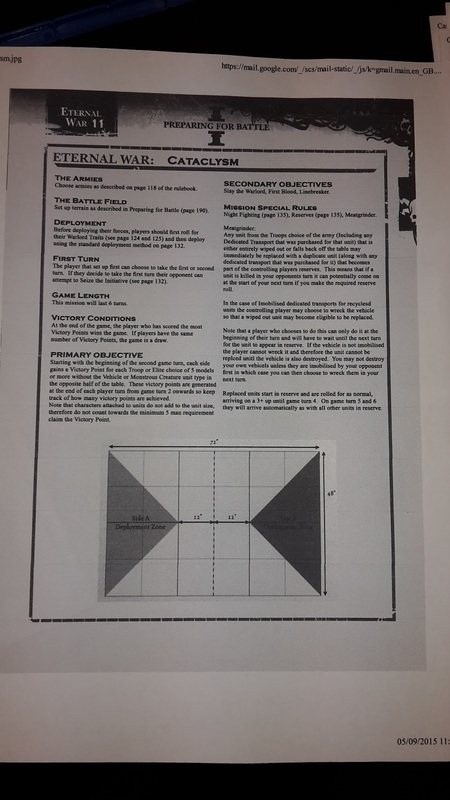 I have had campaigns stall before when players are simply unable to attend to fight battles (it can happen, I'm sure we are all interesting and exciting people whose lives sometimes get in the way of rolling dice), so it helps to provide as many options as possible for getting games played.